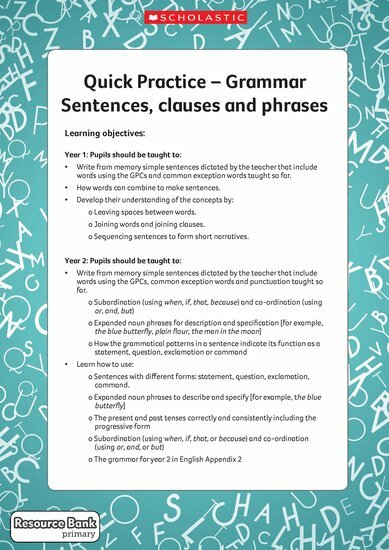 Fluency and frequent practice in grammar, punctuation and spelling forms a key part of the National Curriculum. Use these SPaG packs to provide daily practice that will help children to gain confidence and security. This pack focuses on sentences, clauses and phrases. It contains 12 short activities (two for each year group) and a top sheet showing the specific learning objectives from the National Curriculum that are covered by the activities for each year group. To find out more about the Quick Practice series, take a look at the dedicated article on the Primary Resource Bank . King Alfred the Great – Why was Alfred great?